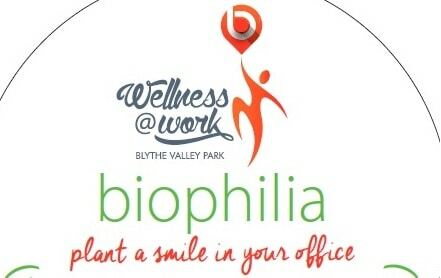 Wellness At Work – Find out more about Biophilia! The term biophilia is now most commonly linked with building design – new buildings are often being designed with biophilia in mind, and studies have shown that nature inspired changes in the office can have a dramatic impact on worker’s wellbeing. At BVP we want to promote ‘Wellness at Work’ and think that having plants in the office will help us to do so. Most offices nowadays, including the offices at BVP, contain many electronic devices such as printers, computers, phones and more. These kinds of electronic devices can emit gases into the air in the office buildings, such as volatile organic compounds (VOCs) comprising of gases like benzene and xylene which can be released into the air when photocopying. Nitrogen oxide and carbon monoxide are also gases found in office environments. NASA conducted a study and found that houseplants benefit us psychologically. NASA believe that because people spend on average 90 per cent of their day indoors, our daily stress may be caused by “nature deprivation”, therefore bringing nature into the office should help to reduce our stress levels. Another study undertaken by Cardiff University found that having greenery in the office can increase worker’s productivity. Marlon Nieuwenhuis, from Cardiff University’s School of Psychology said “simply enriching a previously Spartan space with plants served to increase productivity by 15 per cent”. The study, which conducted experiments in the UK and The Netherlands, found that having plants in the office increased workplace satisfaction, focus levels and air quality. Visit the ‘Relax, Play, Active’ page to read more on the ‘Top 10 plants for the office’ and keep you eyes peeled for some #feelgoodfoliage that is coming your way this week!